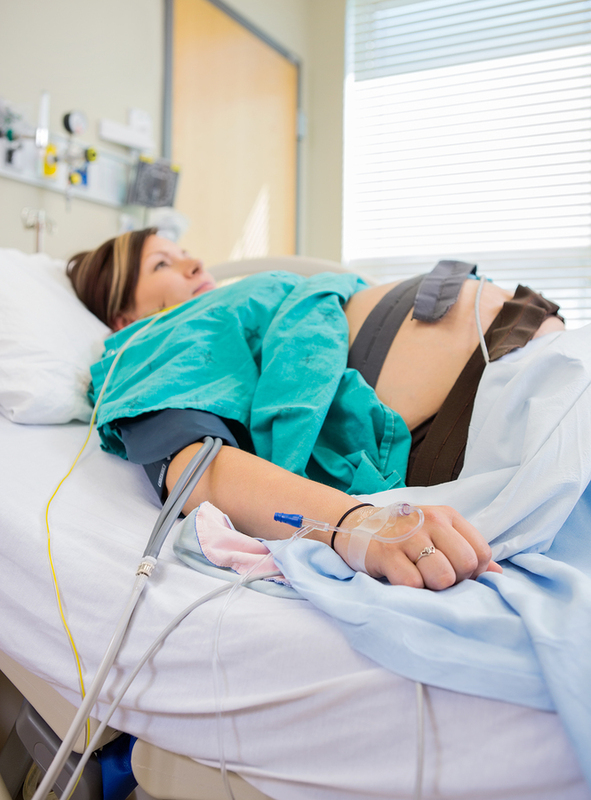 Is Epidural Anesthesia for you? Learn about the risks to you and your baby as well as learn about epidural side effects -like epidural headache. Many women in western cultures are terrified about the thought of natural childbirth. Many women approach labor with the attitude that they want an epidural as soon as they reach the hospital parking lot. There is a widespread belief by most women (and many Obstetricians even) that regional anesthesia does not reach the baby. The common understanding is that since regional anesthesia is inserted into the epidural space in the mothers back, it stays in that space and does not get out or circulate in the mother’s blood. In addition people believe that, the placenta is a unique barrier that prevents anything bad from getting thru from the mothers blood to the baby. The purpose of this article is to make mothers aware that this is a myth. 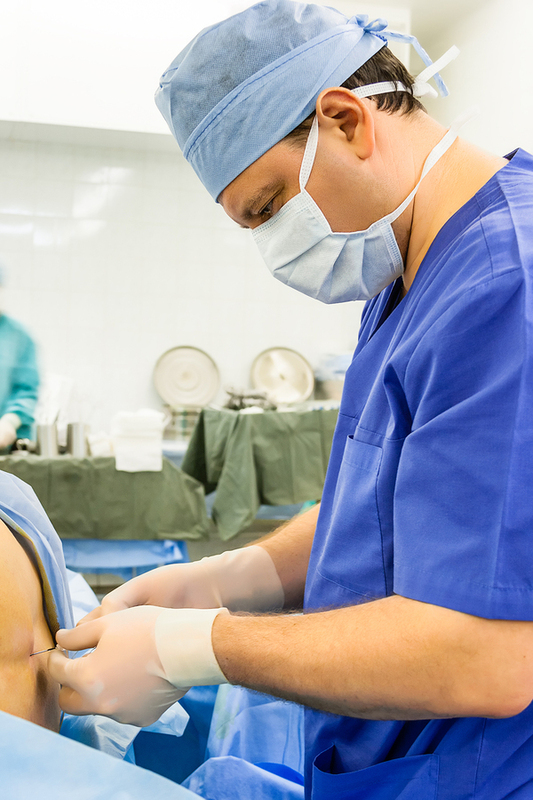 We aren’t saying that you should choose not to have epidural anesthesia. We feel strongly that all mothers should have the right to make informed decisions with full knowledge of all of the pros and cons. Perpetuating the myth that epidural anesthesia does not reach the baby is not serving newborn babies nor their mothers since it causes real complications that may have been prevented had the mother been fully informed and armed with natural childbirth techniques and options. Epidural anesthesia DOES get thru to the baby and the longer the mother has an epidural, the more the medication effects the baby. Epidural anesthesia passes out of the epidural space into the blood and is eliminated thru the liver, kidneys, urine and colon. Think about it... If this didn’t happen, the medication would have a permanent effect on the mother. As with all medication taken orally or injected into the mother, epidural anesthesia has to be processed and eliminated thru the mother’s blood, liver, kidneys, lymphatic system, and expelled in either urine or out the colon. Everything in the mother’s blood passes thru the placenta and circulates in the baby’s blood. This happens to different degrees and has differing effects on the baby since the baby is much smaller than the mother. For example: medication is prescribed based on the mother’s weight. In many instances, the baby receives far greater exposure to the medicine because baby is much smaller, and receives a much higher concentration of medication for its weight. If medication was prescribed based on baby’s size and weight, then the medication would likely not even be felt by the much larger mother whose immune system and circulation system is far more mature and experienced with dealing with foreign chemicals. Longer for the baby to do common newborn things like bond with mom and start breathing on its own. Keep reading for more information about epidural side effects and to see the studies that demonstrate them. We know this is tough to read for many women, but it is important information for you to consider so that you can make truely informed choices during childbirth. Are there other reasons that I should avoid epidural anesthesia? The length of time the baby is exposed to the anesthesia increases the number of side effects to the baby. Epidural use diminishes or eliminates communication between mother and baby during the birth process. Here is the bottom line. The longer the mother avoids an epidural, the less exposure her baby has to the medication and the less likely other interventions will be necessary. So there is a benefit to delay getting an epidural if you feel like you absolutely can't give birth without one. Note: spinal, epidural, pudendal and para-cervical blocks are all examples of regional anesthesia. Meaning: epidural anesthesia may harm your baby. In particular, if you aren’t breathing effectively, your baby may not receive enough oxygen and this could cause brain damage to your baby. Meaning: If you get an epidural, the medication will enter your blood within 1-7 minutes and will be measurable in your baby’s blood shortly thereafter. Meaning: If you get an epidural, the medication will be measurable in your baby's blood within 10 minutes. Babies born to mothers who have had an epidural consistently are less responsive to their surroundings and are less alert for the first 6 weeks of life. Epidural medication effects adults differently than babies. Meaning: if you get an epidural, the anesthesia will reach your blood in 3-5 minutes and will affect your baby shortly thereafter. Doris Haire, president of the American Foundation for Maternal and Child Health stated “The epidural is a one-way ticket to a cesarean.” Many studies support and explain this fact. Meaning: If you get an epidural, your chances of having a cesarean go up substantially. Meaning: If you get an epidural, your labor will slow down and you are much more likely to have a cesarean. Meaning: getting an epidural makes it much more likely that you will need to have a cesarean section. Meaning: dilation slows down due to epidural anesthesia. Meaning: the heart beats at the same rate, but it is less effective at moving the blood and therefore less oxygen is getting to cells. Epidurals can cause severe headaches to the mother for 6 months or more following birth. Epidurals can cause seizure disorders both temporarily or permanently. Epidurals can either temporarily or permanently paralyze women from the waist or neck down. Epidurals can cause severe blood pressure changes. Epidurals lead to a high rate of forceps and vacuum extraction deliveries. Epidurals can cause a fever, which may result in aggressive treatment to the baby like spinal taps and separation. Epidurals can cause death - in either the mother or the baby or both. So here is the question for you to decide. When and under what circumstances is it worth it to you to have an epidural …given the risks? The American Medical establishment encourages the use of epidural anesthesia. Despite all of the research showing the dangers, the American medical system has always supported the use of epidural anesthesia. They have also prevented pregnant women from having accurate information about the risks. This was known to be false then, and it remains untrue today. Women are flat out being lied to. Why haven’t there been any studies since 2000? As far as we can see, there haven’t been any studies on the safety of regional anesthesia since 2000. This is in alignment with a change in the way basic research grants are funded. In the past, funds were available for basic research conducted without any bias for outcome. Since the mid 90’s, there has been an emphasis on the “commercial potential” for any research proposal. Allegedly this was because research funds, which come from taxpayers, should lead back to products and findings which will directly benefit taxpayers. In reality basic research funds have been used as a tool for big businesses to conduct research at college campuses for “free” using government funds. Current studies have clear biases and usually either demonstrate the hoped for outcome or remain unpublished. When it comes to epidural anesthesia, no one the pharmaceutical industry or the American Medical association wants to fund a study which proves, yet again, that epidural anesthesia is detrimental to the mother, the baby or both. When I asked about epidural anesthesia before each of my births in 2009 & 2012, I was told that epidural anesthesia was perfectly safe for both me and my baby. 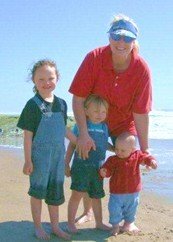 I was repeatedly asked if I wanted pain medication during both of my hospital deliveries, despite indicating clearly in my birth plan that I did not want pain medication to be offered to me. I had to repeat my preference to have no medication and not to be offered medication in the majority of conversations I had with hospital staff. Rather than being congratulated for being prepared for childbirth, I was made to feel like a weirdo for turning down the drugs! Everything was fine, but I was tired, in a lot of pain and I was scared so when I got to the hospital, they gave me my epidural. For several hours everything was OK. Some other tragic-sounding potential event occurred. Like it just happened. It just fell out of the sky or something; and the cesarean saved the day, or the baby, or the mother, or whatever. Never does anybody explain to the mother that the epidural caused the problem. "Your cervix just wasn’t opening"
"Your baby was in distress"
"Not all mothers are cut out for this birthing thing"
"You were just too tired"
"You were at the end of your rope"
Are we saying that women shouldn’t have the choice of having epidural anesthesia? Absolutely not. We believe in choices and empowering women to make the best decisions for themselves and their baby. And that means that they need to have all of the facts. That they should be provided all of the facts before they are in labor. There are times when a cesarean is necessary. Our point is that hospital interventions are OVERUSED to the detriment of both moms and their babies. The USA ranks very low when it comes to both maternal (mother) and infant mortality rates. Countries that support natural childbirth and/or don’t have all of the “lifesaving equipment and practices” that the USA does have much better maternal and infant outcomes. Can you imagine? It is safer to deliver in some world countries than it is to have your baby in the USA. To have a true choice, pregnant women need to have all the facts. Our goal is to provide information and to motivate others to do some research about both pregnancy and childbirth so that you are consciously making choices that you feel confident are the best choices for you and your baby. The hospital and medical establishment is making its choices based on what is most convenient for them, what costs the least to deliver, what makes the most profit and, what is most likely to be defend-able in court (typical standard of care). 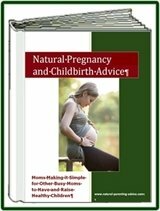 Get educated about natural childbirth. Pain is your body or your baby trying to tell you something … like change positions. Choose like-minded people you trust who will be your advocate to be with you when you are in labor and during delivery. Ask your questions on our Childbirth Forum! 1. Nelson, Harry. “Anesthetic Held Danger to Baby During Delivery”. Los Angeles Times. (March 11, 1970). 2. Fox, Howard. “Effects of Maternal Analgesia on Neonatal Morbidity”. University of Kansas, Department of Neonatal Medicine. Reprinted in: “Preventability of Perinatal Injury” Progress in Clinical and Biological Research, New York, Alan Liss (1975): 163-186. 3. Rosenblatt, Deborah, et al.. “The Influence of Maternal Analgesia on Neonatal Behaviour: II Epidural Bupivacaine”. British Journal of Obstetrics and Gynecology 88 (1981): 407-413. 5. Shnider, Sol and E. Way. “Plasma Levels of Lidocaine (Xylocaine®) in Mother and Newborn Following Obstetrical Conduction Anesthesia”. Anesthesiology 29 (1968): 951-958. 7. Lieberman, Ellice, et al. “Association of Epidural Analgesia With Cesarean Delivery in Nulliparous”. Obstetrics and Gynecology 88 (1996): 993-1000. 8. Thorp, James, et al.. “The Effect of Intrapartum Epidural Analgesia on Nulliparous Labor: A Randomized, controlled, Prospective Trial”. American Journal of Obstetrics and Gynecology 169 (1993): 851-858. 9. Traynor, Jeffrey, et al.. “Is the Management of Epidural Analgesia Associated with an Increased Risk of Cesarean Delivery?” American Journal of Obstetrics and Gynecology 182 (2000): 1058-1062. 10. Newton, Edward, et al.. “Epidural Anesthesia and Uterine Function”. Obstetrics and Gynecology 85 (1995): 749-755. 11. Danilenko-Dixon, Diana, et al.. “Positional Effects on Maternal Cardiac Output During Labor with Epidural Analgesia”. American Journal of Obstetrics and Gynecology, 157 (1996): 867-872.